The Lifetime Tribal Guardian program replaces the Dog Soldier program. Any tribesman who was recognized as a Dog Solider is now recognized as a Lifetime Tribal Guardian. Lifetime Tribal Guardians are recognized with a Bear Paw. 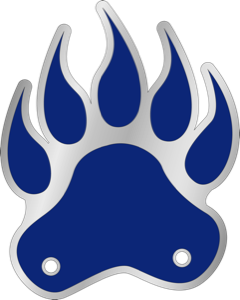 The Tribal Guardian Bear Paw may be worn on the Scout uniform or on the tribal attire. The following tribesmen have made the commitment to become Lone Bear Tribal Guardians. The list is current as of December 31, 2018. If you completed your Lone Bear Tribal Guardian contribution before December 31, 2018 and your name is not listed below, contact Blair Allen (816-569-4922) to ensure that your donation has been processed. The following tribesmen have made the commitment to become She-She-Be Tribal Guardians. The list is current as of December 31, 2018. If you completed your She-She-Be Tribal Guardian contribution before December 31, 2018 and your name is not listed below, contact Blair Allen (816-569-4922) to ensure that your donation has been processed. The following tribesmen have made the commitment to become Lifetime Tribal Guardians. The list is current as of December 31, 2018. If you completed your Lifetime Tribal Guardian contribution before December 31, 2018 and your name is not listed below, contact Blair Allen (816-569-4922) to ensure that your donation has been processed.